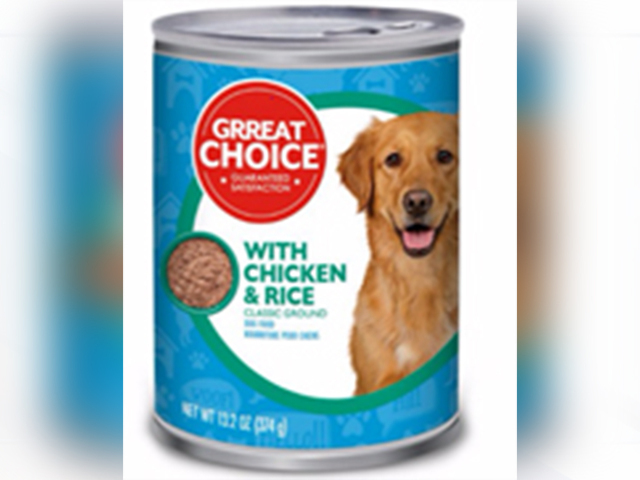 PetSmart recently issued a voluntary recall for a type of its Grreat Choice Adult Dog Food as it had a potential chocking hazard in one of its lots. After receiving notification from its manufacturer of consumer complaints, the store decided to recall the product because of metal contamination. According to DogFoodAdvisor, the Grreat Choice Adult Dog Food being revoked includes the 13.2 0z. can of Chicken & Rice Classic Ground that was sold between the dates of October 10, 2016 and February 7, 2017. According to PetSmart, none of the other products under this brand are affected by the recall and there are no reports of illness or injury concerning the product. PetSmart encouraged it’s customers to “Please stop feeding this product to your pet and bring any remaining cans affected by this recall to your nearest PetSmart for a full refund.” The company then recommends the other varieties of Grreat Choice dog food as an alternative option until the specific product is available once again. While this is surely an unfortunate thing for a store to do, PetSmart did the right thing! By voluntarily recalling the product, PetSmart is recognizing there is an issue and is attempting to minimize any harm to families and pets. As there are no reports of illness or injury regarding the product that has been reported, it shows the customers that PetSmart really cares and has their best interest in mind. PetSmart also is giving the customers refunds if they bring back the cans or allowing them to switch it for another Grreat Choice product that isn’t under recall. Another initiative proving to the shoppers that it is loyal to it’s customers. Seeing as I have a dog at home and my parents have bought this brand of dog food, it makes me happy knowing the company wants to keep my pet safe and out of harms way.